Old 3-inch Amsoft CF2 compact floppy disk (for single head drive). 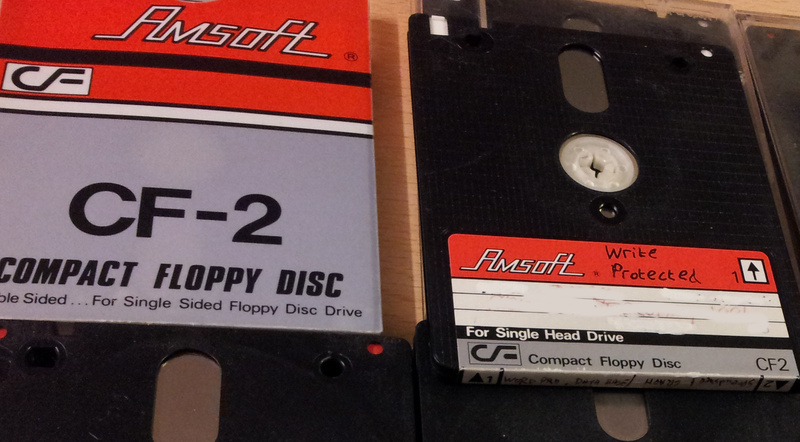 The Floppies were from an Amstrad PCW word processor. A disk image was created then the files extracted and returned to the client who said... The disks contained text I needed converting to a regular Windows 10 readable and editable file. Disk received, with thanks! I have just had a look at the files, excellent! We must do this again. If you need a Convert 3 inch Amsoft Floppy from to be readable in Windows 10 service, then contact our friendly company. Old 3-inch Amsoft CF2 compact floppy disk (for single head drive). The Floppies were from an Amstrad PCW word processor. A disk image was created then the files extracted and returned to the client who said... The disks contained text I needed converting to a regular Windows 10 readable and editable file. Disk received, with thanks! I have just had a look at the files, excellent! We must do this again. .